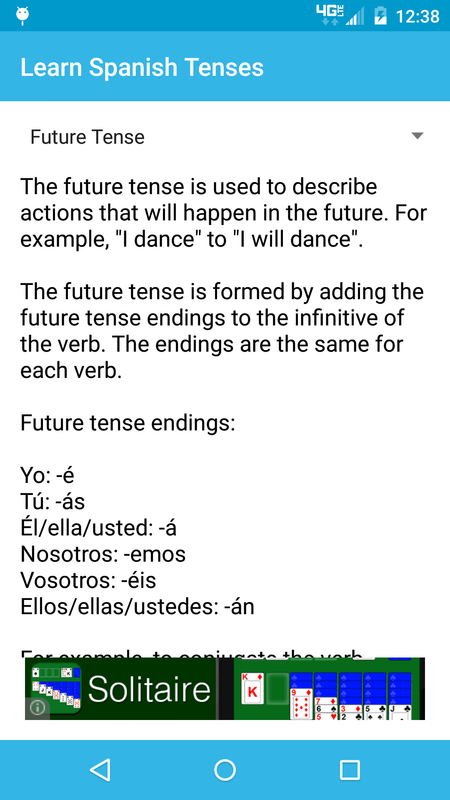 Conjugation is the simplest way to conjugate verbs to all of the various tenses in the Spanish language. 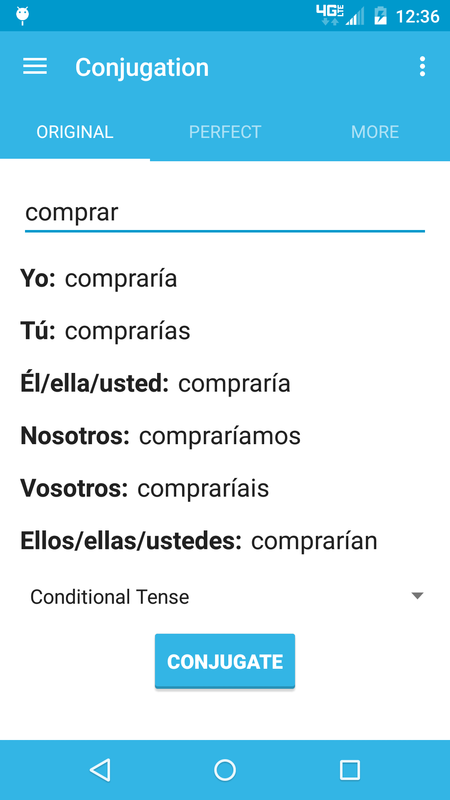 Completely free to use, Conjugation is the perfect tool for high-school and college-level Spanish classes. The app uses algorithms instead of a dictionary to conjugate verbs in order to take up lesser space on your device. 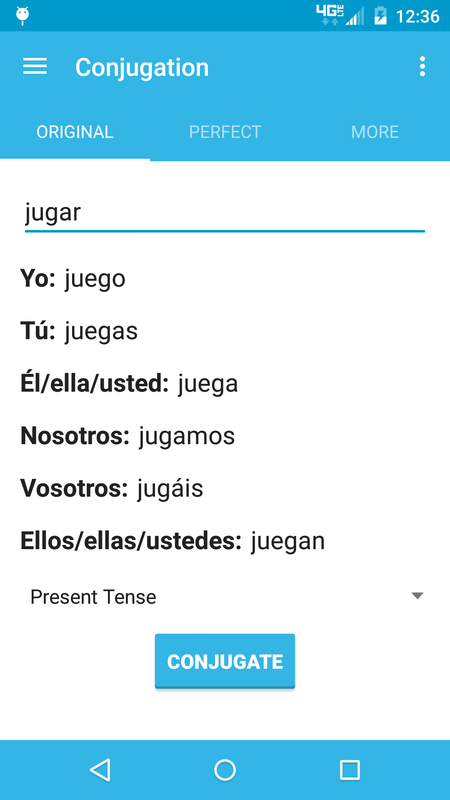 Just type in your verb and press the button, and it will give you conjugations for Yo, TÃº, Ã‰l/Ella/Usted, Nosotros, Vosotros, and Ellos/Ellas/Ustedes! 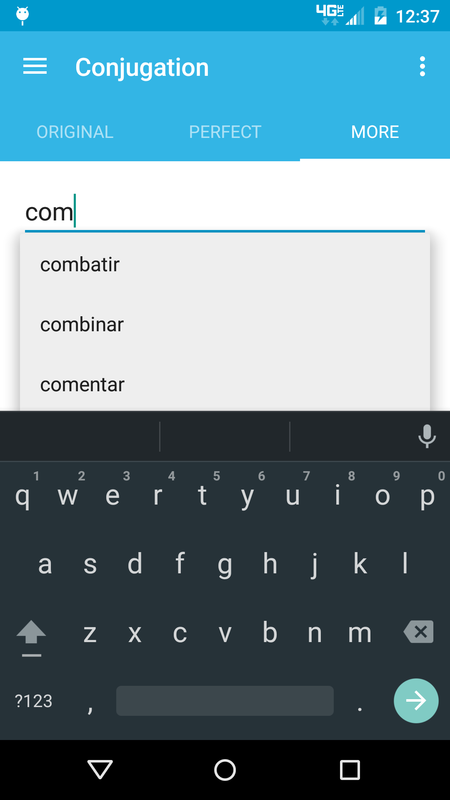 And, as you're typing the verb, you'll get autocomplete suggestions for all verbs! If you're having trouble understanding some of the conjugations, just slide the navigation panel and go to Learn! 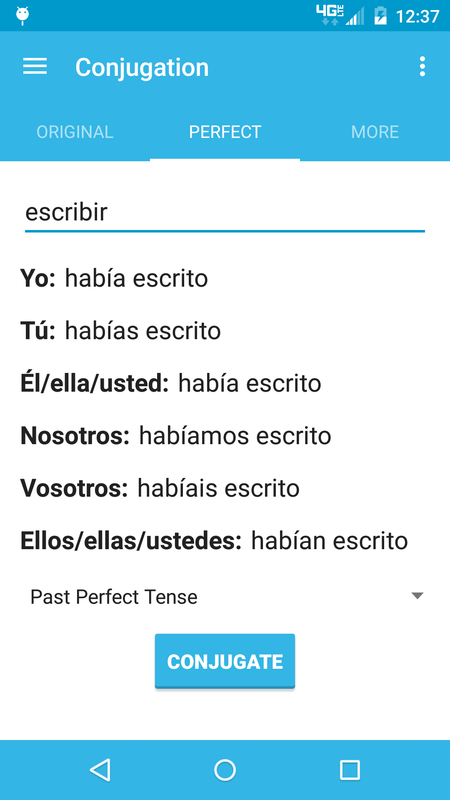 You can view mini lessons and tutorials on the usage and rules of each tense without having to open your book and flip pages to find the grammar lesson. 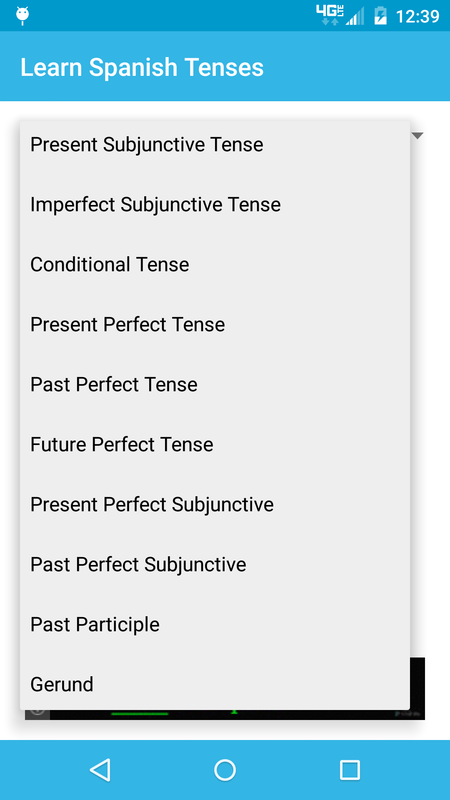 Conjugation features support of the following tenses: â€¢ Present Indicative â€¢ Preterite â€¢ Imperfect â€¢ Future â€¢ Imperative â€¢ Present Subjunctive â€¢ Imperfect Subjunctive â€¢ Conditional â€¢ Present Perfect â€¢ Past Perfect â€¢ Future Perfect â€¢ Present Perfect Subjunctive â€¢ Past Perfect Subjunctive Plus, you can view English translations, gerunds, and past participles of over 700 Spanish verbs. 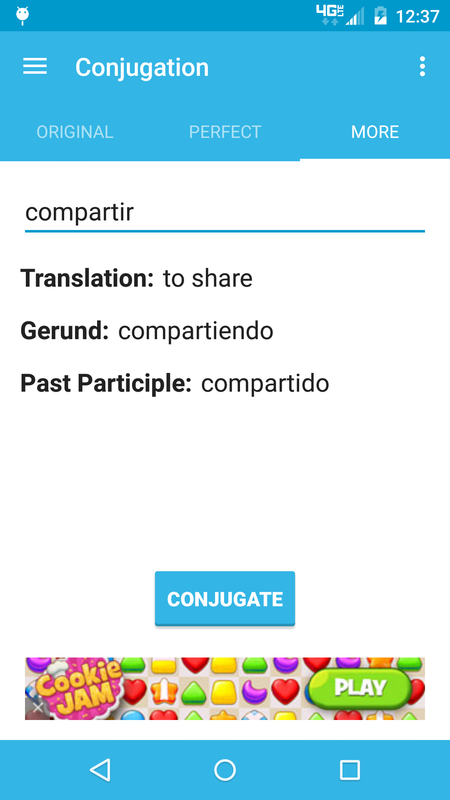 Download Conjugation today!